How Are You Doing in Party Poker´s Cash Game Card Rush? 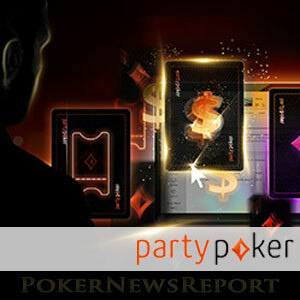 Home » Poker News » Online Poker News » How Are You Doing in Party Poker´s Cash Game Card Rush? Players at Party Poker have until next Sunday (April 2nd) to earn points at the cash game tables and win their share of $100K in the Cash Game Card Rush. With so many recent promotions at Party Poker aimed at driving players towards the site´s $6 million guaranteed live Millions event, it is nice to know that cash game players have not been forgotten, and the current Cash Game Card Rush event is a great – albeit short – promotion that should enable every player to add to their bankroll. However, before opting into the promotion, players should be aware that it involves forfeiting Party Points earned during the promotion for contributing to the rake. Although the forfeiture of points will not affect loyalty statuses, any Party Points exchanged during the promotion will be deducted from the player´s Points balance and cannot be redeemed in the Points Store. Each time a player earns 2 Party Points for contributing $1.00 to the rake deducted from cash game tables (heads-up excluded), they have the option of exchanging the 2 Points for a scratch card. 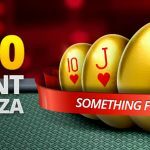 The scratch card reveal one of four prizes – from points towards a leaderboard competition, to a cash prize or tournament entry ticket, to a package to a Party Poker Live event worth $8,000. The leaderboard points awarded can range from 1 point to 20 points. The points accumulate in a leaderboard competition that has a top prize of $2,000, and other cash prizes paying down to 500th place. The cash prizes have a value of between $1.00 and $500, and are credited to players´ accounts immediately with no clearing requirements. The tournament entry tickets range in value from $1.10 to $215.00 and can be used in any Party Poker online tournament. The $8,000 package consists of the £/€/$ 5,300 buy-in a live Party Poker event, with the balance available going towards travel expenses and spending money. The prize can be used at any time in the next year in any Party Poker Million event. The concept of the promotion is straightforward, and although the majority of the scratch card prizes will be leaderboard points or small cash prizes/tournament entry tickets, it is well worth taking part in. If you have not already started the Cash Game Card Rush promotion, opt in today and see how much you can win by next Sunday. You might be in for a pleasant surprise. If you are lucky enough to win an $8,000 package to a Party Poker Live event, you will have plenty of options to choose from. 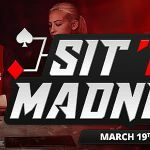 In addition to the Party Poker Millions at Dusk till Dawn next month, the site is also hosting million dollar guaranteed events in Canada in May and Germany in June. There are also three Grand Prix events taking place next month in Canada, Austria and Dublin. Satellites for all six events are currently underway at partypoker.com, so even if you only win a small tournament entry ticket in the Cash Game Card Rush promotion, you could use it to qualify for one of Party Poker´s amazing live events and turn your action at the cash game tables into a life-changing cash on the Party Poker Live tour. Players wishing to take part in the Cash Game Card Rush promotion should take care to make sure they opt into the right promotion. Party Poker is also running a cash game leaderboard-style competition this week which rewards players with tickets and satellite tickets for the weekend´s Title Fight tournament. Although this too is a worthwhile promotion, it requires quite a concentrated effort to make it into the prizes. 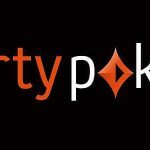 In fact, the current promotions page on partypoker.com lists twenty different promotions – and these do not even include the Party Poker bonus. 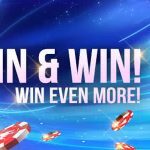 If you like your promotions and the opportunity to win potentially valuable prizes for free, there is no better place to be playing right now than at Party Poker.